Vietnam’s construction sector is booming. New Buildings are competing with each other, on size and design. The IPH commercial and residential towers project is the most prestigious new construction in recent years in Hanoi both in size but also in modern design. 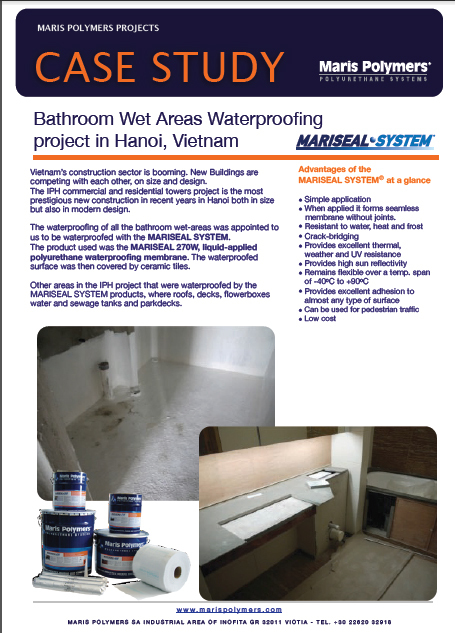 The waterproofing of all the bathroom wet-areas was appointed to us to be waterproofed with the MARISEAL SYSTEM. 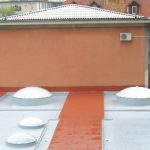 The product used was the MARISEAL 270W, liquid-applied polyurethane waterproofing membrane. 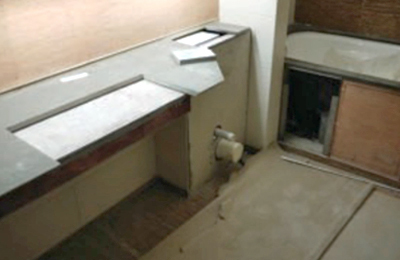 The waterproofed surface was then covered by ceramic tiles. 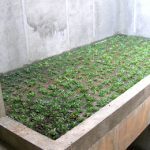 water and sewage tanks and parkdecks.